Born with the blessings of a Muslim saint, Sheikh Burhan Chisti, hence called Shekha, Maharao Shekha, was the founder of beautiful Shekhawati, or The Garden of Shekha. Shekhawati is not a city, it’s a region in Rajasthan, comprising of ancient towns and villages. The seat of Shekhawat Rajputs and origin of the prosperous Marwari community, the region is known for the bravest and colourful people in Rajasthan. Stunning frescos, exquisite havelis and impressive baolis open a window to their glorious past. 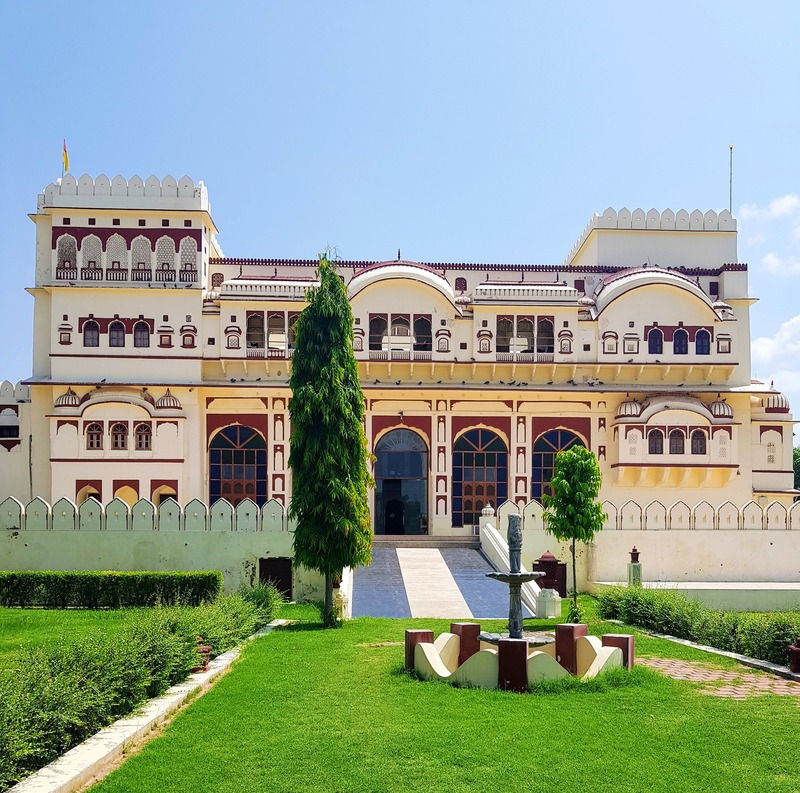 Surajgarh, Khetri, Jhunjhunu, Mandawa and Fatehpur are some of the towns comprising the Shekhawati region that is famous for its distinctive architecture. Ornate Cenotaphs or Chatris captivate your imagination with their shape and design. Exquisite Marwari Havelis now turned into heritage properties give you a peek into the fascinating lives of the most prosperous business community of India. One is intrigued with these fortified houses that walled the lives of their women who spent most part of their days in and around the courtyard situated in the centre of the haveli. On visiting these beautifully painted mansions one gets lost in the pure imagination of the glorious past of their proud owners who started their extraordinary enterprising journey from here, to become business tycoons. Fresco Paintings of Shekhawati lend it the delightful look of an open art gallery. The painters of these splendid works of art are the Kumhars or the potter caste of the region who used nature not only as their inspiration but also for the colours used for the paintings. Though there are many heritage properties in the region yet Surajgarh Fort, a restored property, is the one that can make you feel like a true Royal. As the name suggests, it is also known as the Castle of the Sun that originally belonged to Thakur Suraj Mal, the founder of Surajgarh. The rooms, the courtyards and beautifully maintained gardens transport you to the enchanting Rajput era. The Chef and his team satiate your taste buds with authentic Rajasthani cuisine. Shekhawati is great for a weekend getaway. By Road from Delhi, one can cover the distance of approx. 180 km within 4 to 4.5 hours while crossing alluring mustard and bajra fields nestled amidst the Aravalis spread on both sides of the highway. By rail and by air one can reach Jaipur and further reach Shekhawati by road, covering the similar distance of approx. 200 km. Therefore Delhi seems to be the best option to start the journey whether by Road, Rail or Air.